Today's card features stamps from Art Impressions! 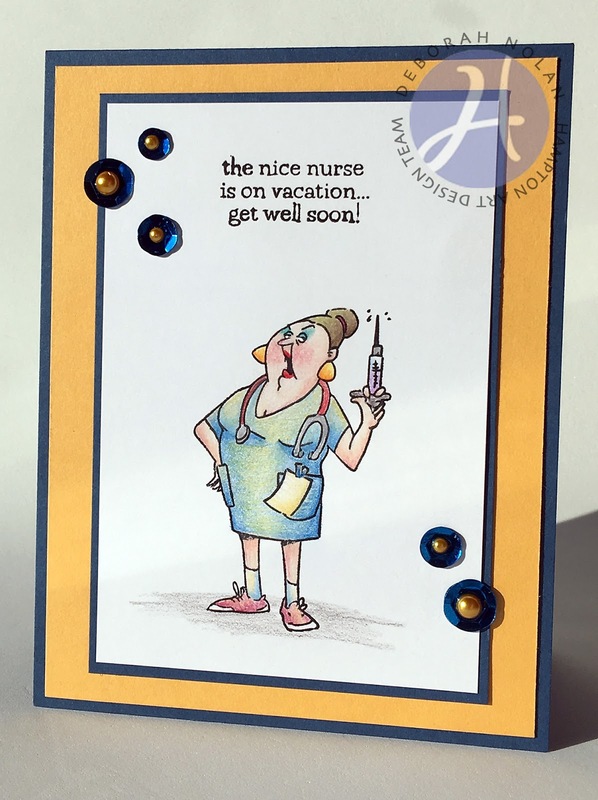 Make a 4.25” x 5.5” base from navy cardstock. Cut gold mat and adhere to card. Cut white panel and stamp image and sentiment. Color stamped image as desired and mat with navy cardstock. Adhere matted image to card. Love this card. I have this set and haven't even inked it up yet. This really inspires me to get it inky. Thanks for sharing.